When you look at modo the first thing you're going to use is the command window (on the left) and the event log (on the right). The command window is where you will be typing commands and python files to execute a script. The event log is where the party is happening. This is where we can test if our script is working and see the events happening in our scene. It constantly updates when something new happens. To give you an example lets execute our first command. Type this into the command window. 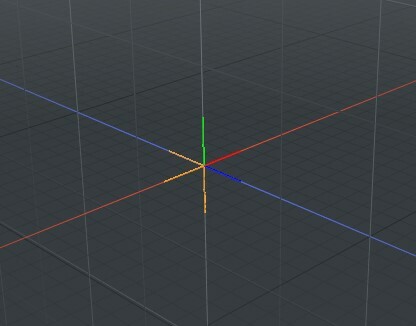 A locator is created in the 3D view. Imagine if we had to create 100 of these. We could have done this manually, but that's what scripting is all about, automating. lx.eval() will evaluate our command. lx.out() will print out the result. If you look at the event log you will notice that our script has been executed. It will display the command we typed, in our case it was '@file.py'. We wont get much more information than that. 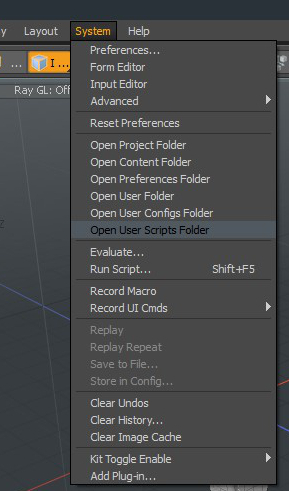 So to display some information lets modify our script file. Remember to save and let's try this again. This time our script will create a locator and the event log will tell us how many locators are available in the scene. To execute the script again you can click on the command window over @file.py, this is much faster then typing our file name repeatedly. As you can see they're not that different from eachother. We can use this command to query the number of items in the scene for any type of item. The question mark tells us we want to know something and what we want to know is what the command is asking. The .N tells the command we want a number and the word before .N is the type we are asking for, so we can replace this word with others such as bezierNode or mesh. What if we don't know what type of item it is? This command will get the first item, in other words the item with index 0. Then the event log will print out the item type. It's important to know that Modo's items start at 0 and increase so the first item on the list is number 0 not 1. This number is called the index and is placed after the question mark. We will get a type: mesh which means it will always be type: mesh everytime unless we query an item with an index. It's important when using a command to ensure you include either an index, name, or id. 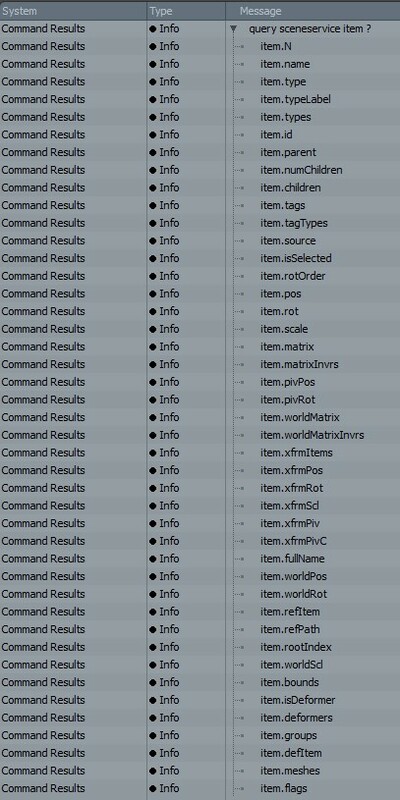 This is not always the case, when using the command to find the total number of items query sceneservice item.N ? it is not necessary to include an index, name, or id. Be attentive. With this script we can find the selected item type. If we do not have an item selected then it will not work so make sure to select an item in the scene or the hierachy. Let's dissect this code to understand what is happening so you can create your own scripts!. First we have the variable itemNum which will be the number of items queried in the scene. Then we have a variable list which will create a list starting from 0 to itemNum. So if we have 5 items in our scene then itemNum = 5. For every index in the list execute the following code. We can also think of this as for every number in the list or for every item in the list. What's important to know is that i is a number and can be named index. This will loop 5 times since we have 5 items in the scene, if we had 10 items in the scene then it will loop 10 times, etc. The variable i is an integer or a number that starts at 0 and ends at itemNum. The variable itemSel will return with a value of 1 or 0, it will never be higher or lower, it simply means true or false. If we get a 1 it means true and a 0 means false. I am checking if the current item is selected or not. This is where we can check the item type! Many lines of code just to get to this. You get the idea, Read the event log!